COURT ORDERED JUDICIAL SALE. 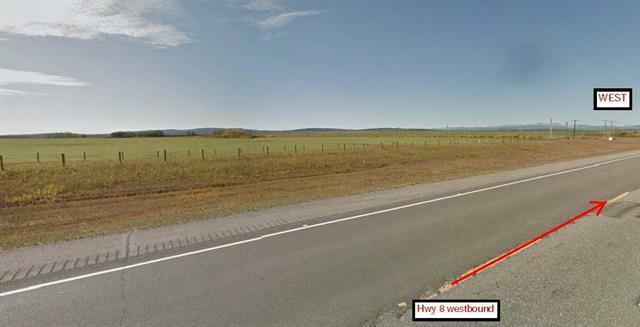 The property is 148.18 acres of vacant land, located along Highway 8, adjacent the eastside of Range Road 40, with exposure from both frontage roads. The site contains a rolling topography, and contains partial mountain views. 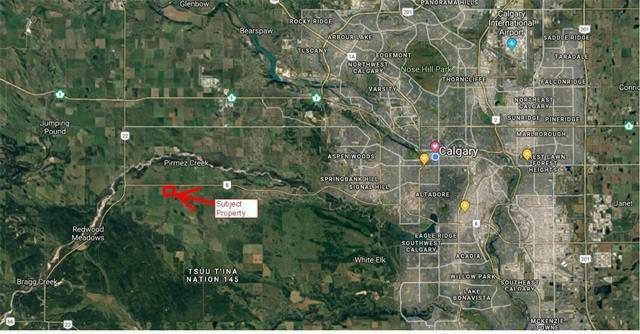 There are creeks running through the property, and there is a large irrigation right of way registered on title, comprising 36.89 acres and 12.30 acres, which are deemed undevelopable. right of way feature is considered a positive amenity in any future development, because of the natural reserve type setting. The net developable area of the land would be at maximum 98.99 acres, with potential for further reductions.serviced with natural gas and electricity but does not have municipal servicing for potable water, sanitary sewer or storm water drainage. The current intended use for this property is farm and ranch it is believed to have a great deal of future value as a country residential subdivision.